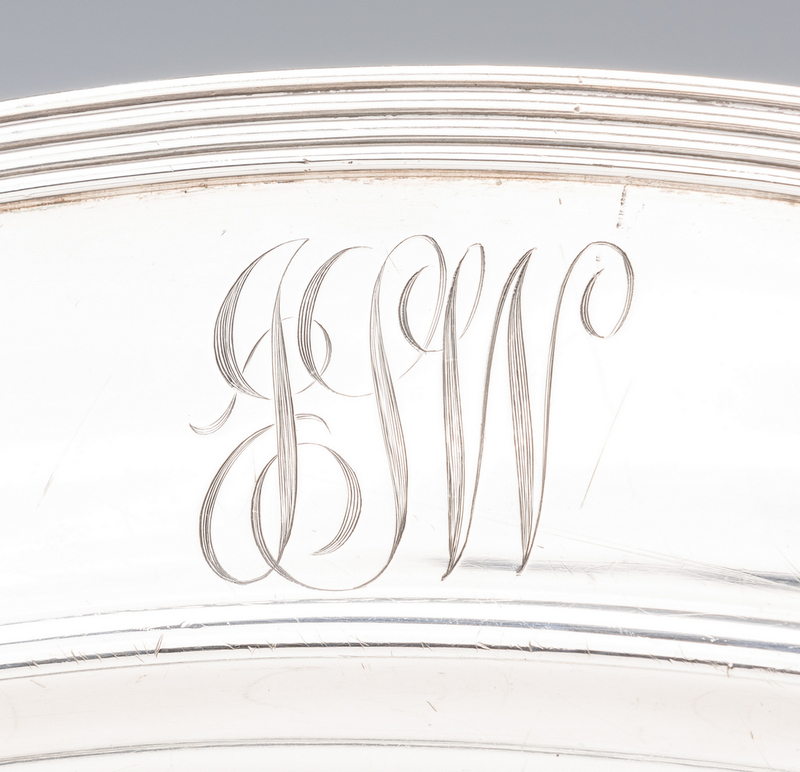 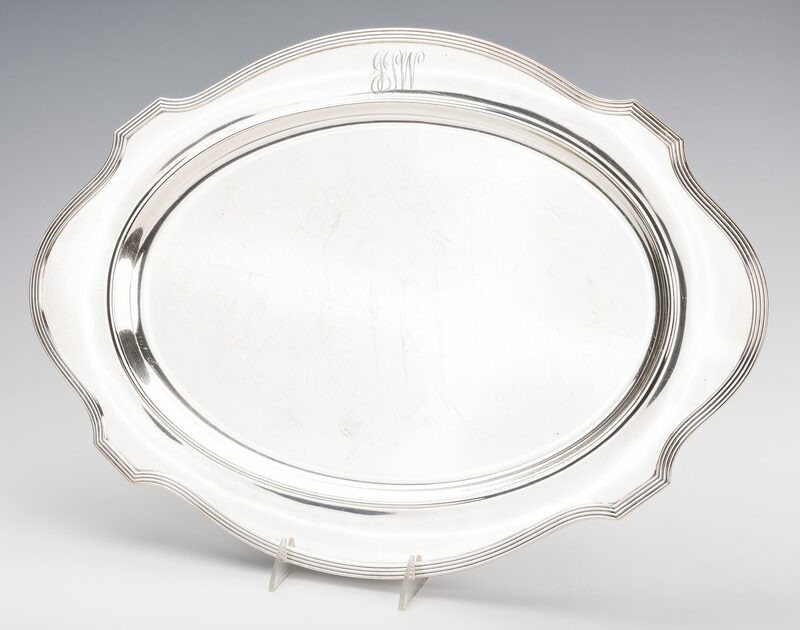 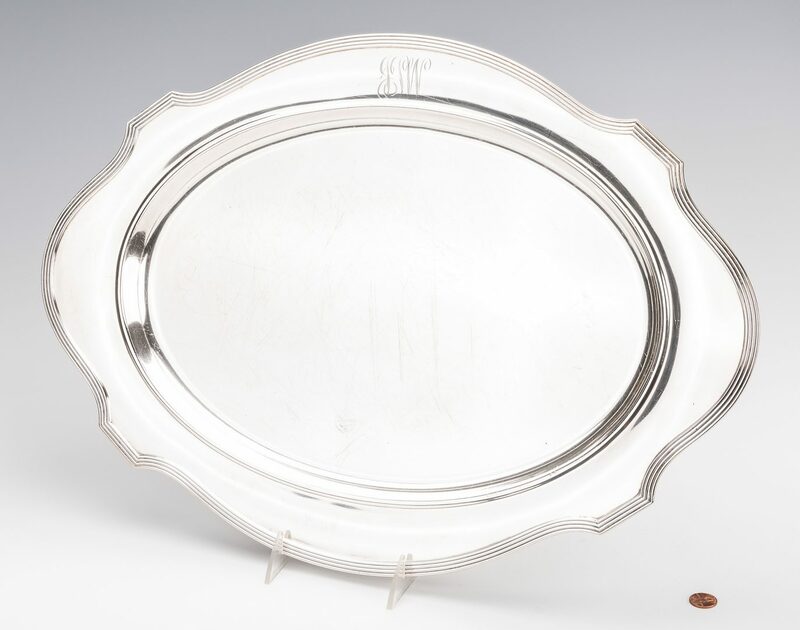 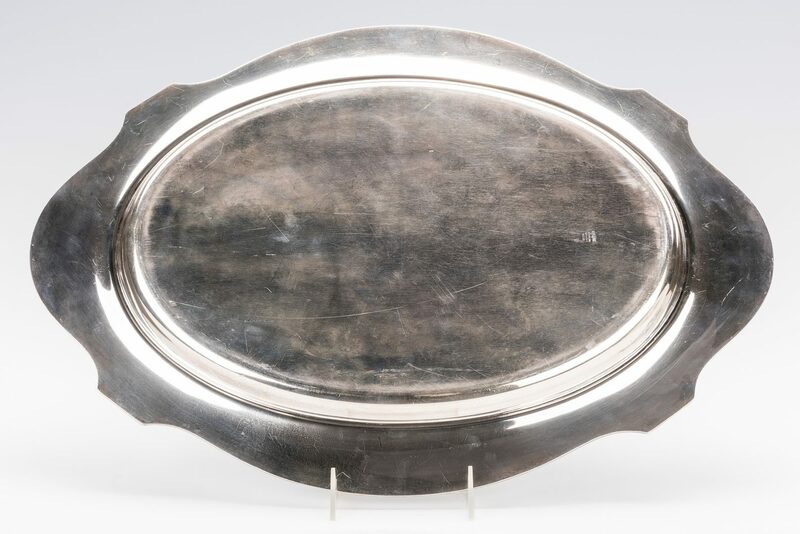 Gorham sterling silver platter or tray, cartouche shape with reeded edges. 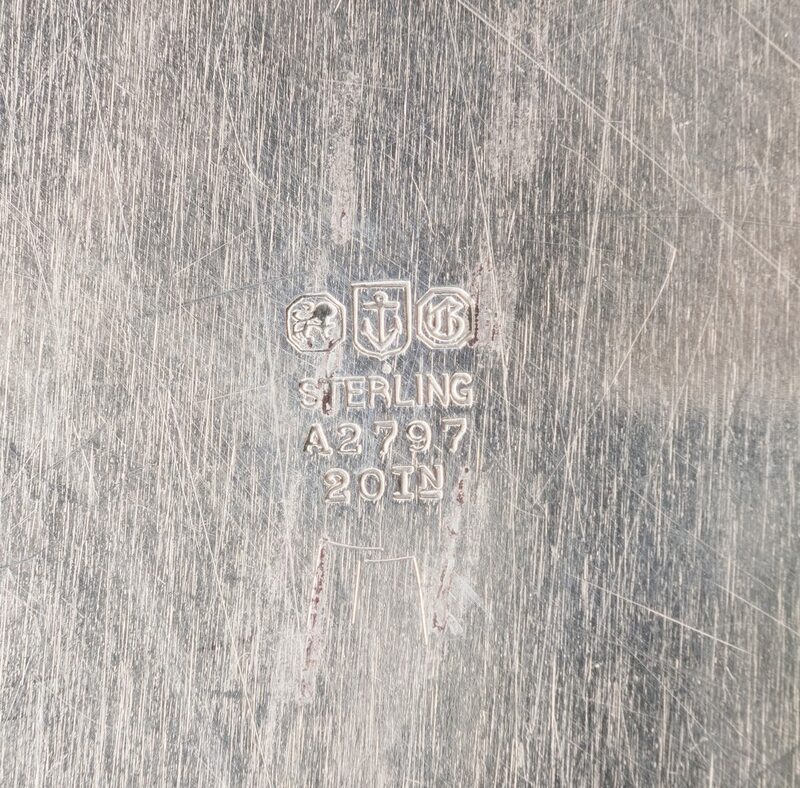 Marked on back A2797 20 In STERLING with old lion anchor G mark. 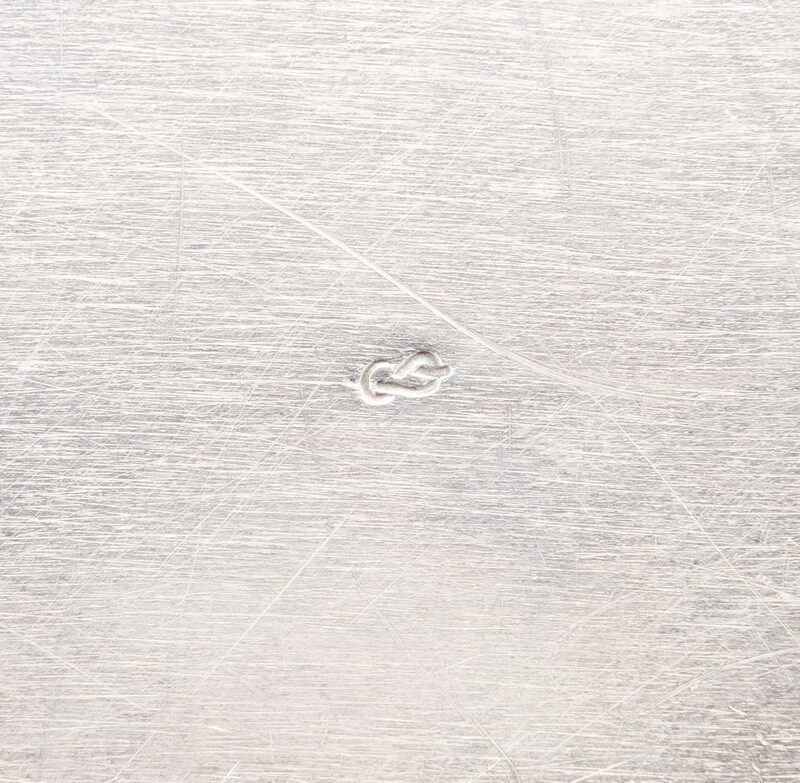 15" X 21", 61.66 oz troy. 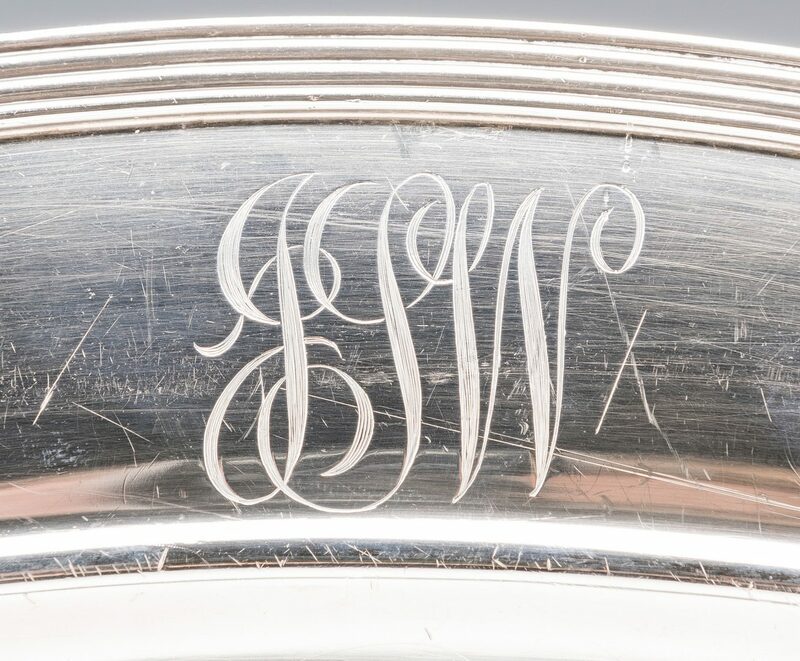 CONDITION: Overall good condition with surface scratches.